Named Ed "Dutch" Vogel in the papers and not to be confused with the bootlegger George "Dutch" Vogel. The only thing they shared in common was the "Dutch" tag of which was passed over to Ed by the colorful newspapermen reporting crime. They assumed the" D" in his name stood for that. In actuality, the " D" in Vogel's name actually stood for David. Other nicknames given to him were "The Slot King" and "Honorary Mayor of Cicero". His alias was Edward Vaughn. 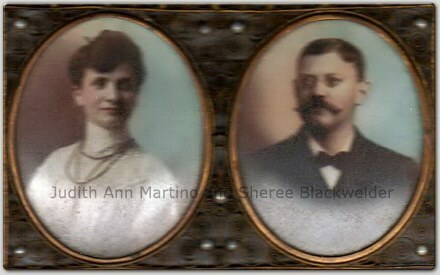 Ed's mother and father, Emma and Adolph Vogel. Adolph owned a leather factory in Chicago. 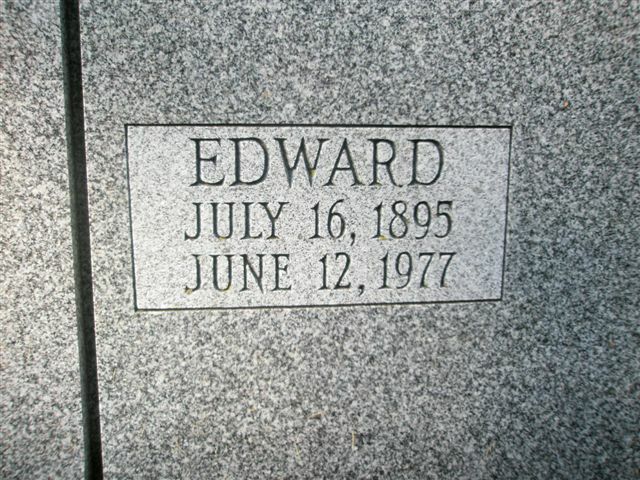 Edward was born on July 16,1895, and William was born on November 23,1901. 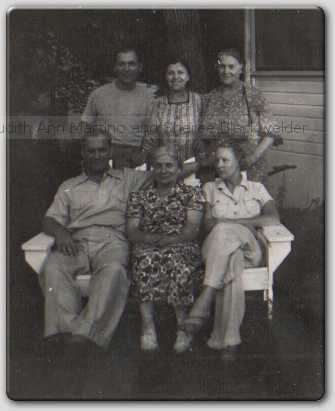 They were the sons of Jewish immigrants Adolph and Emma Vogel, whom had come over from Czechoslovakia, then known as Austria Bohemia, and they settled in Chicago. The Vogels had four children in all, Edward, William, Richard and a sister named Elsie. Richard passes away at the beginning of the 1930's. The slot machines or one armed bandits were the main stay of the Vogel family business. 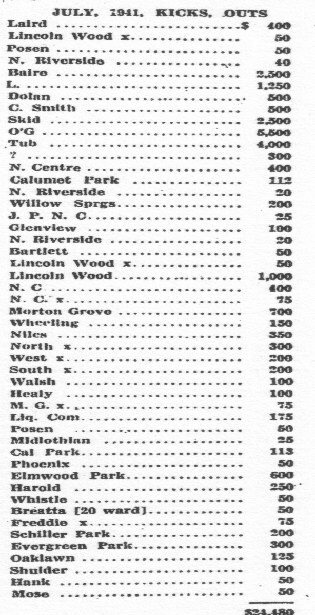 The main locations were Cicero, Skokie, Niles, Chicago. 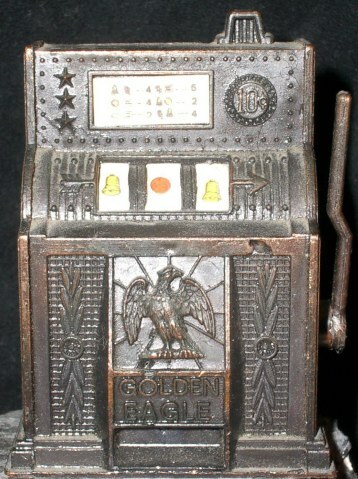 The Vogel fortune was later made with jukeboxes and cigarette machines in mob controlled restaurants and bars. Early shot of Vogel dressed to nines. Looks very much the Capone gangster. Edward Vogel was the one who originally invited the Torrio / Capone crew into Cicero for help with fixing the 1924 election. 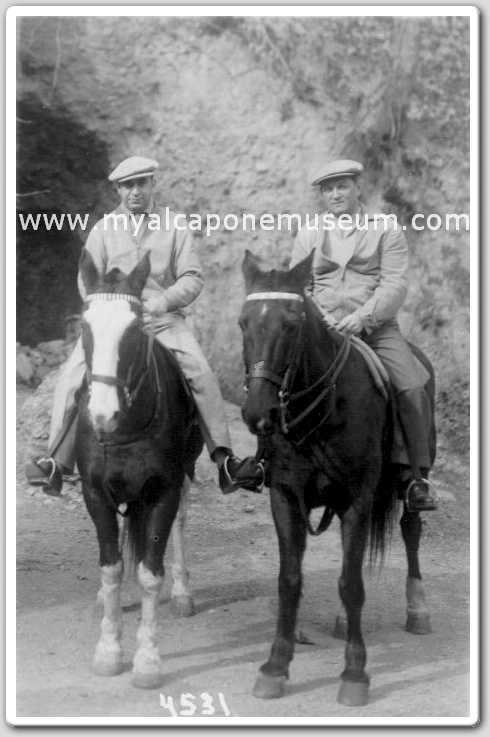 At that time Torrio, Capone and the other gangs, even the Northsiders, were still getting along famously. O'Banion had a stake in the gambling there, as did Louis Alterie. O'Banion even had sent reinforcements to help with the election. Vogel knew that if his choice as puppet mayor (Klenha) was elected, then Cicero would be a wide open town for gambling, booze and prostitution. Millions were to be made for all the gangs who played along. Vogel dealt in the distribution of the slot machines also known as one armed bandits, and other machines of various entertainment. Vogel, in connection with the mob in power reaped richly from it's benefits. 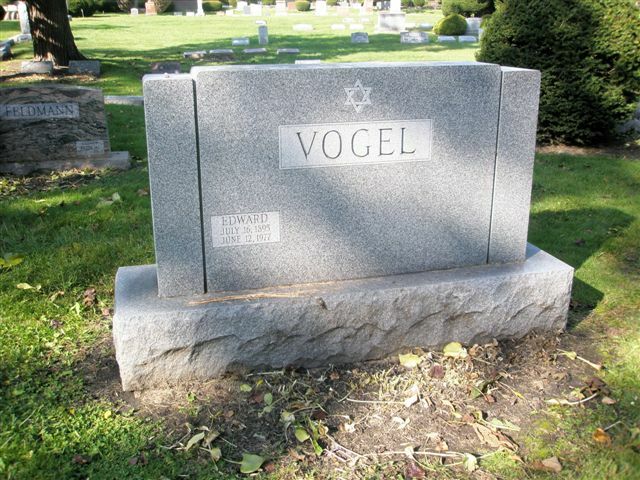 Vogel is first and foremost a business man. He dealt with all gangs. He has been linked in Landesco's Illinois Organized Crime survey with the likes of The O'Donnells and the Bugs Moran gang. Once the 1924 invite to the Capones and others to enter Cicero is extended, he will forever later linked to the Capone gang and it's successor Frank Nitti. Vogel's signature under Earl"Hymie"Weiss and Frank Foster. This was for a court petition when Vogel, Foster and Weiss at the Rienzi Hotel. On June 23,1926, Hymie Weiss, Frank Foster and Ed Vogel are arrested in suites 301, 302, and 303 at the Rienzi hotel a known Northsider hangout. They are arrested by Prohibition agents J.A. Dorr and Jacob Maas. Special intelligence Pat T. Roche and Clarence T. Converse are also there, along with many police officers. 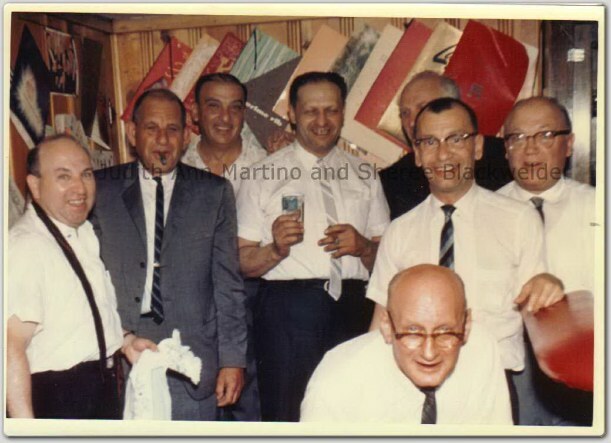 It's still not understood why Vogel, (who was known to associate with the Capone gang) was doing buying booze for his upcoming wedding from the Northside mob, when he had perfectly good connections through the Capone gang. Perhaps the price was right, and Vogel knew the Northsiders dealt in the best real booze there was in Chicago. In the past, the Genna mob had made rotgut booze that killed it's consumers. Weiss on the other hand, had the booze come in from Montreal, through his connections with one time flying bootlegger and Montreal distiller owner Frank Parker. He also had connections with a Montrealer lawyer named J.J. Stewart. 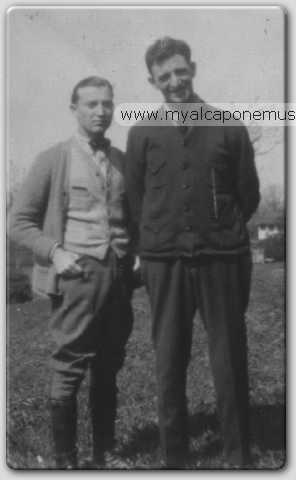 Possible Capone or Capone hood with Edward Vogel in Hot Springs. (Mario Gomes collection via the kindness of Sheree Blackwelder). On June 12,1930, Police are on the lookout for any Chicago gangsters travelling about after the much publicized assassination of Chicago Tribune reporter Alfred Jake Lingle. Ted Newberry, Jake Guzik, Dennis Cooney, Pete Fusco, Agostino Loverde, Paul Ricca and Ed Vogel are ordered off a New York bound train and taken into police custody. They were on their way to a boxing match in New York. At the time they are carrying $60,000 which they was to be placed as a bet for the Sharkey-Schmeling fight. 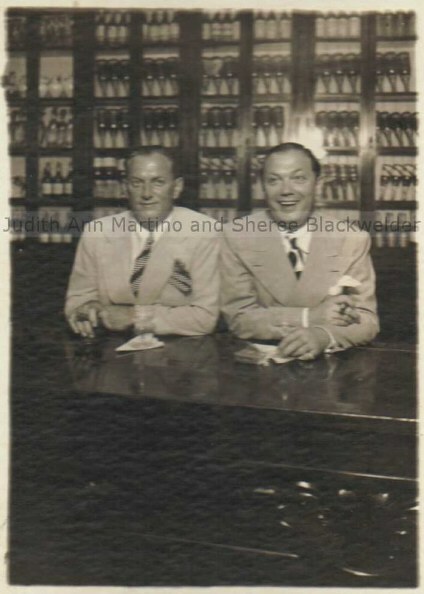 Edward D. Vogel and his brother William Vogel hanging out at a bar in Havana, Cuba circa 1941. Both were in various slot machine enterprises for the Capone gang and later the Chicago Outfit. On June 1,1934, the patriarch Adolph Vogel passes away in his home at 1804 South 58th Avenue Cicero, Illinois at age 70. He had retired from his Vogel Leather Manufacturing company 4 years prior. 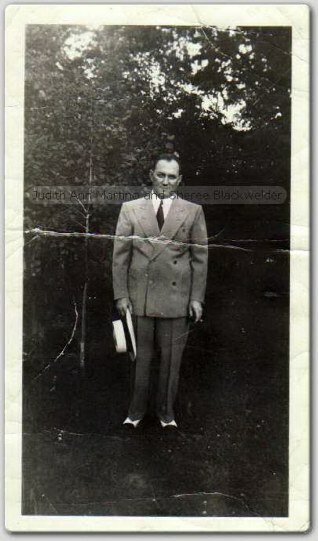 In the 1930's - 40's and right up to the 50's, Ed Vogel and his brother William are now known and referred to in the newspapers as Capone gangsters and henchmen. His middle brother Richard also played a part in the gambling business for a short term at the early onset of the game (1924-1929), before later succumbing to tuberculosis in California. In the early 1920's, Richard, William and Edward are often seen with Earl "Hymie" Weiss. This made it kind of strange, considering Vogel became a staunch Capone follower later on. Richard Vogel and Earl "Hymie" Weiss. William or Eddie are probably working the camera. Edward Vogel was married a total of three times, and had one daughter named Edwina from one of these marriages (woman named Gaye). Eddie also had a daughter from another unidentified woman. This child bore also daughter (Rita Edna Vogel), for whom Edward took in and raised her as his own daughter to avoid controversy. Ed was known by family members as a charming charismatic gentleman. William was the funnier guy of the two, although Edward could be quite naturally funny at times. One funny story was when he began to have failing eyesight and needed to wear glasses, especially when driving. He hated wearing them and tried at all costs in getting around without them. He had his chauffeur drive him in order to avoid using his glasses. One night, without his glasses, he went into the Edgewater Beach Hotel nightclub in Miami and told the Maitre D to give him the best seat in the house. The funny part was that he couldn't see that there was no one in the club at that time. Often associated with the mob and Capone, most people didn't know that Edward donated alot of money to his temple and to various charities. The reason for Ed and William's success was that they had law enforcement paid to warn them whenever a raid was to be held. This would give them ample time to have the machines removed from the intended raid area and have the machines stored in a warehouse till things cooled off. Ed had a bodyguard named Butch, while William Vogel, the sales agent for the slot machines, had a bodyguard named Dickie Lucente. 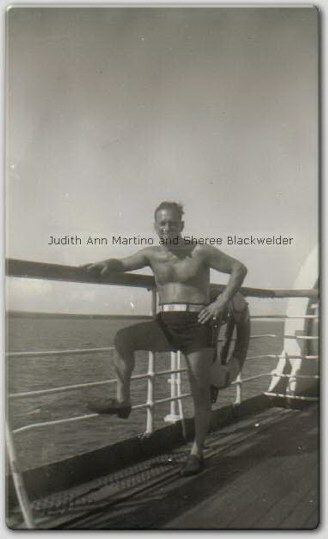 The two brothers may have been involved with the Riverview amusement park as Eddie would take his niece, a young Judith Ann Vogel in back to make her watch them count all the money the amusement center had amassed for the day. 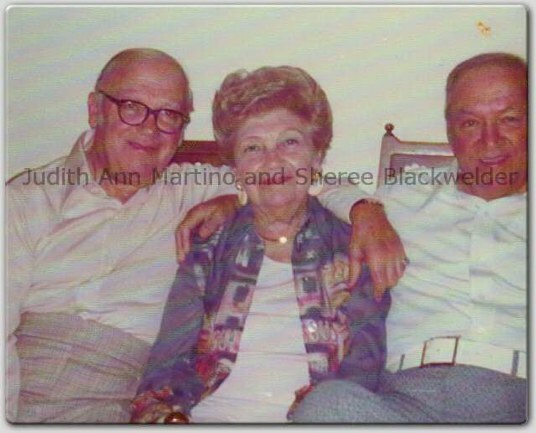 In later years, William's granddaughter, Sheree Blackwelder, recalls going the the famous Flamingo Hotel in Las Vegas with her grandfather and grandmother. She remembers that although she was only 10 years old at the time, she was still permitted by hotel staff to try the slot machines and see shows that were meant for people 18 years and older. The Vogel legendary name still evoked power in the then still mob run casinos. 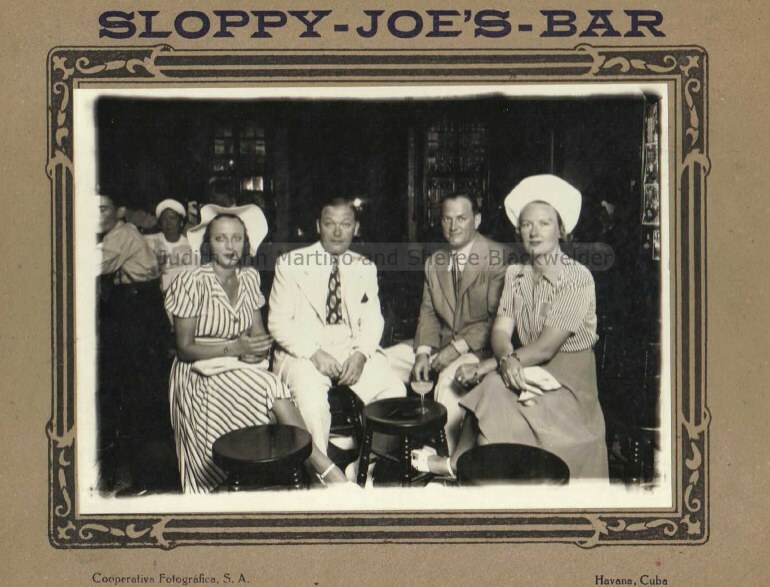 Another 1941 photo at Sloppy Joe's bar in Havana Cuba. Frances Vogel and husband William Vogel, Edward and his second wife Gaye. Sitting; Edward, his mom Emma and Gaye. May 31,1940, Ralph Capone claims during police interrogation that he does not know anything about slot machines or Edward Vogel. August 28,1940, jukebox territory is fought in Melrose Park. Vogel's rivals have their jukeboxes axe smashed by hoodlums and then dumped in nearby creek. 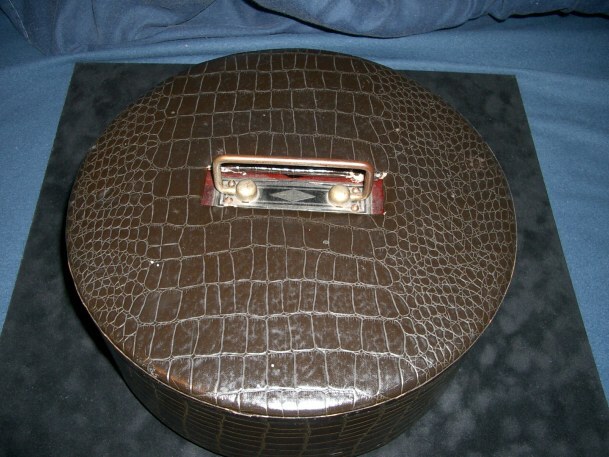 Two truckers of the Universal Automatic music corporation are also kidnapped. Vogel has claimed Melrose Park as his territory. In 1941, it is estimated that the gambling syndicate of the Chicago Outfit rakes in a gross amount of $3,875,000 per year. Their net is estimated at $2,666,000, with grafts to various officials estimated to exceed over $300,000 a year. In July of 1942, Edward Vogel is accompanied by his bodyguard / collector Anthony "Tony" Fragassi and enters a Evanston police station where Tribune photographer, Chester Nichols, is being questioned. Nichols had taken photos of mob slot machines in various taverns, notably one at Uncle Tom's tavern at Waukegan road north of Northbrook. He planned to have them shown in the paper and given to Chief investigator Virgil Peterson, who led a crusade against the Chicago mob. Vogel and Fragassi approach Nichols. While Vogel looks on, Fragassi, with a stern look, tells Nichols he'd better think twice about showing those photos to anyone. Fragassi tells Nichols he will get his head bashed in if he doesn't stop snooping around the slot machines. He goes on further and tells Nichols to think for the safety of his own family before using the photos for a planned story on the slot machines. Tony Fragassi who worked for Ed Vogel and was arrested for threatening a Tribune photographer. Nichols immediately tells police about this incident and identifies Vogel as the man that was with Fragassi during this encounter. Captain Dan "Tubbo" Gilbert, whose been known to be paid off by gangsters in the past, arrests Fragassi later on. Fragassi vehemently denies he is working for Vogel or Guzik and states that he does not collect money from tavern owners running Vogel slot machines. Glibert takes Fragassi to the Circus bar at 8105 Cicero Avenue and immediately the bartender instantly exclaims 'Hello Tony!". Gilbert asks the bartender if he knows Tony and he unknowingly replies "Yes, he collects the money for the slot machines." The Nitti-Humphreys-Guzik -Vogel gambling syndicate kick backs and payoffs to various officials and police in order to look the other way.Captain Dan "Tubbo" Gilbert is shown to receive $4,000 under the name "Tub" in this Tribune found list. August 21,1942, Sheriff Thomas J. O'Brien, who has been looking to subpoena Ed Vogel for months has learned that the Chicago Coast Guard station had spotted a 26 foot yacht with Ed Vogel on it at the mouth of the Chicago River. The Coast Guard had no clue of the Sheriff's need to detain Vogel, so they let him and his party go on their way. On the boat was William and Mrs. Vogel. Ed had given the Coast Guard station a number where he could be reached. This number was found to be issued to Gay Kahn, of 4300 Lake Shore Drive, which may have been his wife. Edward Vogel loves boats and is later often seen on his (Apex Cigaret Service inc.) business partner's (Joe Mahoney) boat. Ed Vogel ( right ) on a boat. He enjoyed sailing to Miami and back to Chicago very much. 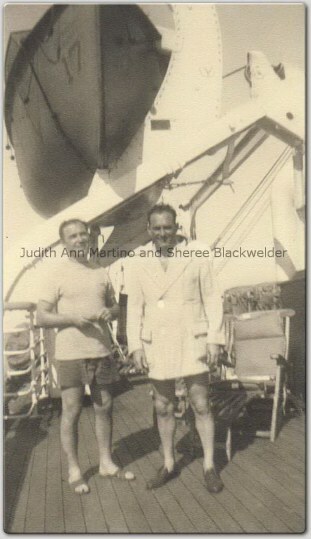 Eddie and William would take off every winter to Florida and visit associate Joe Mahoney's boat. On March 24,1943, Ed Vogel is seen entering the fraud offices at the bureau of internal revenue. 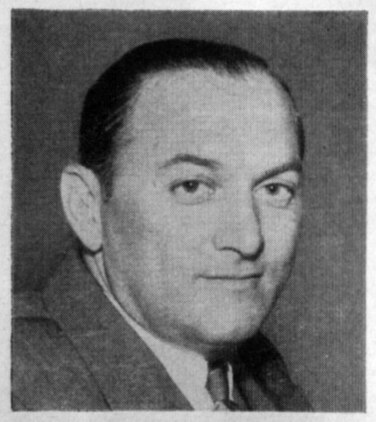 On February 2,1945, Ed Vogel, known at the time as the reputed head of the Syndicate's slot machine department is arrested in front of the Coliseum on a charge of disorderly conduct. Vogel stated that he lived at 4300 Marine Dr. and was in the business of renting out Juke Boxes. Ed Vogel is freed on the charge. County highway police propose to have Ed Vogel's face, in conjunction with a skull and crossbones image to be used as their pin up boy. They claim that everytime Vogel pops up in some county, there are policemen who get fired or transferred. Vogel Family gatherings. They sure looked like they had fun! Front: Frances, William, Emma Frances's mom Rebecca and Elsie. 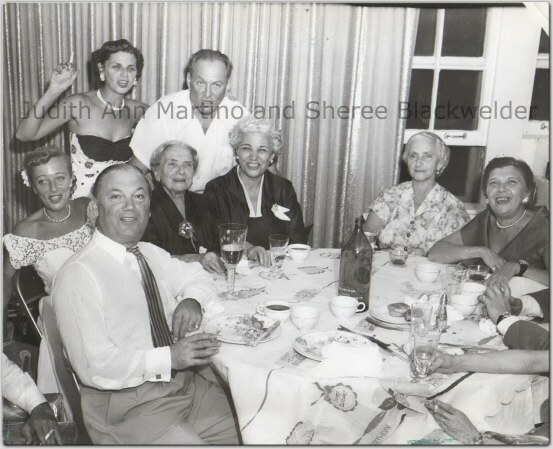 Eddie's gal, William and wife Frances, Mother Emma, sister Elsie, Edward's wife Shirley and Edward. Probably taken at Eddie's high rise apartment on May 25,1952. In every shot you will notice that William is at the left and Edward is at the right. Elsie, William, Emma, Edward and his wife. Bottom is Shirley with kids. 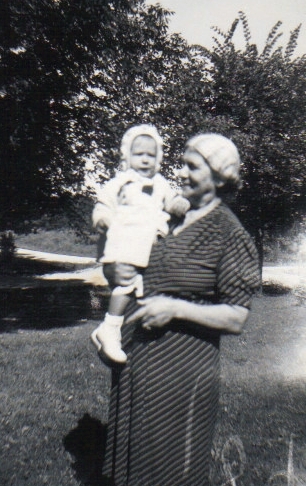 William and Frances' daughter, Judith Ann Vogel, with grandmother Emma. In April of 1947, William Vogel, Edward Vogel, Tony Fragassi, Skokie's village president and it's trustees are indicted to operate gambling devices (Slot machines) in Skokie. May 13,1947, Judge John A. Sbarbaro (the same whose family embalmed famous gangsters in Chicago) frees William Vogel , his brother Edward and all indicted in the conspiracy to gamble in Skokie. The Judge chastises law officials for not doing their job. In Feb-March of 1950, it is discovered that Ed Vogel is now dealing in contraceptives and has these machines dispensing condoms in various taverns and dancehalls. He is jokingly referred to as Birth Control Eddie by investigators. 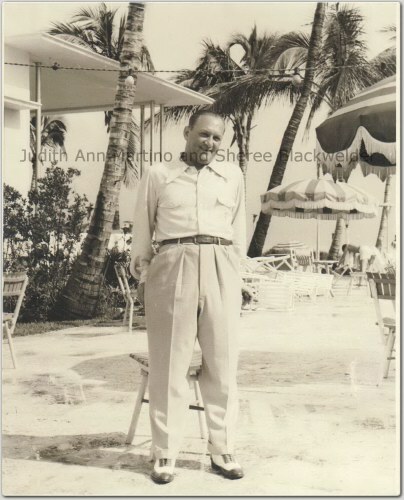 Two snaps of Edward Vogel hanging out in Miami Beach circa 1950's. On September 29,1952, Edward Vogel is arrested after being chased and tussled around near his residence at 4300 Marin drive. On him they find a bulging wad of money. ($7,200). $5,500 was in neat bundles of $500 wrapped in newspapers, and the rest was seventeen $100 bills. Vogel is then identified as the muscle behind the Apex cigarette machine service company at 4218 Lincoln avenue.Vogel appears with a cut on the side of his nose from the police rough up. He claims he ran because he thought the policemen were stick up men after his bank roll. Vogel pays the $75 bond for disorderly conduct and resisting arrest. The large amount of money that was confiscated from him is later returned to his lawyer. 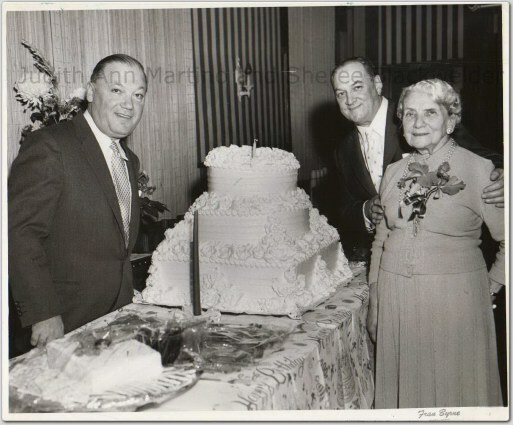 William Vogel, Edward Vogel and their beloved mother Emma on her birthday. February 25,1959, Ed Vogel appears at the famous televised Senate Rackets and is questioned committee counsel Robert F. Kennedy. Vogel keeps mum at all times. Members of the committee assailed Vogel and his henchmen as "Birds of a feather", and Senator John McClellan chairman of the committee branded their activities as a "disgrace to a civilised country". The only words Vogel had uttered was his Chicago address at 320 Oakdale. William Vogel at the extreme right, shown in later years along with a few of his buddies in Cicero, Illinois. 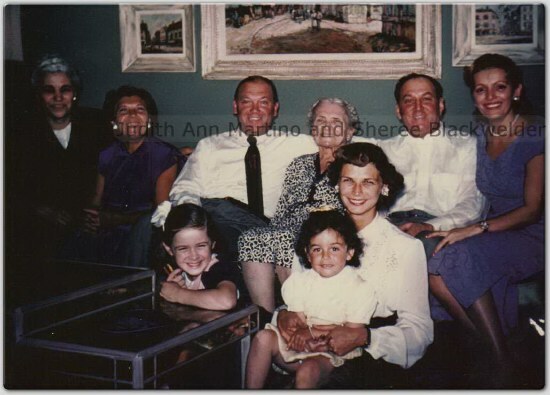 In the early 1960's, Vogel makes his sister Elsie purchase a double apartment for him at 320 Oakdale on the 19th floor. The reason is that appartment building owners are on the lookout to avoid renting to mob members after a newspaper expose. Murray Humphreys was on the 18th floor, but moved and sold his apartment to another hood named Frank Ferraro after being exposed in the newspaper. In 1966, independant operators became bolder in competing with the mob. Gus Alex who took over the coin operations from Vogel seeked his advice. It was Vogel who advised the mob to quash the upsurge through violence. Brothers and sister reunited. William, Elsie and Edward in later retirement years. When Vogel retired, it was estimated that he had amassed a fortune of $12 million. 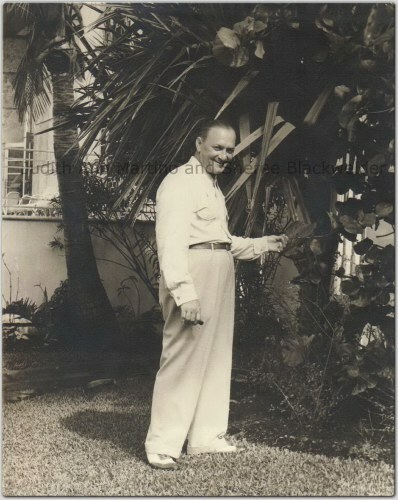 At the time of his death, he was living at the Ambassador East Hotel, and also maintained a place at 300 North State St. During the Winters, he would go to Encino, Plam Springs,California and Florida. Many times he would meet up with his protege Gus "Slim" Alex. Edward Vogel dies on June 12,1977 at Columbus Hospital from Leukemia. He was 82 years old and had lived a full life. He was considered an elder statesman in the gambling racket and was asked for his opinion on many occaisions by the mob leaders in Chicago of how to deal with independant slot operators who tried to muscle in on mob territory. 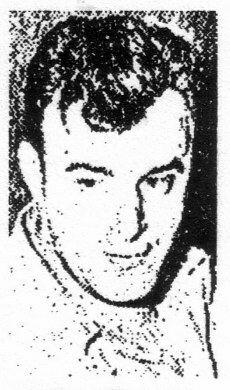 William Vogel, his brother, dies on August 4,1988. 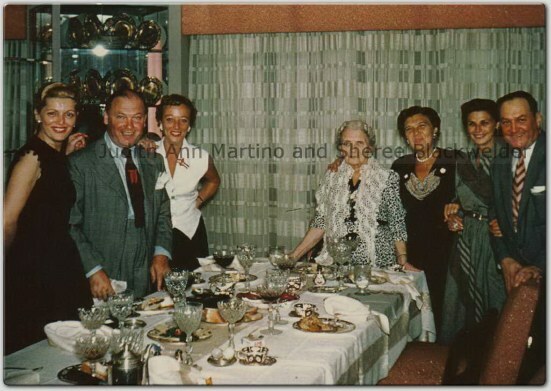 Elsie Wartenburg, Ed and William's sister, passes away on March 12,1989. Frances Vogel, William's wife, passes away on May 8,1992. The Vogel monument at Rosemont Park Cemetary formerly known as Mt. B'Nai Jehoshua Cemetary. Edward, William along with William's wife Frances are buried here. Their flat stones are at the back of this monument. Close up of of Edward's inscription. and to her daughter, Sheree Blackwelder, both of whom have been very generous in opening up their family's inner sanctum and history to share with all the history buffs who view these pages. Their photos and items help tell the story. This page is dedicated to the ones that have left us, and to help keep their memories alive. 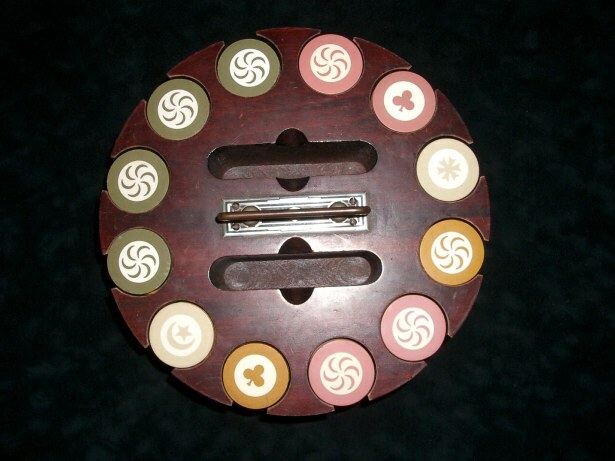 leather covered poker chip wheel belonging to Edward and William Vogel. Cherry colored wood carousel containing different colored chips . 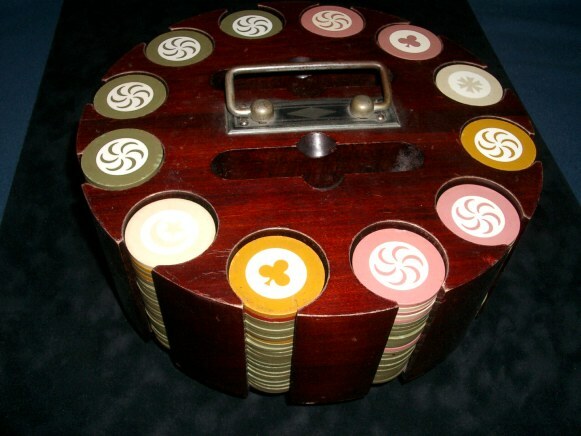 Edward and William tagged along this poker chip wheel back and forth on their trips to Chicago and Miami. God only knows which famous gangsters sat at the table when these chips were dealt at a friendly Vogel card game. 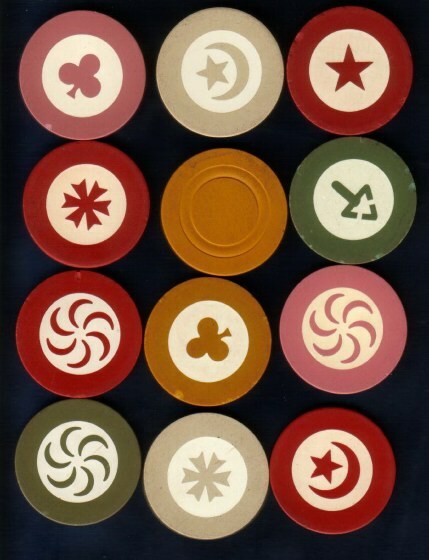 Close up of poker chips and their designs. 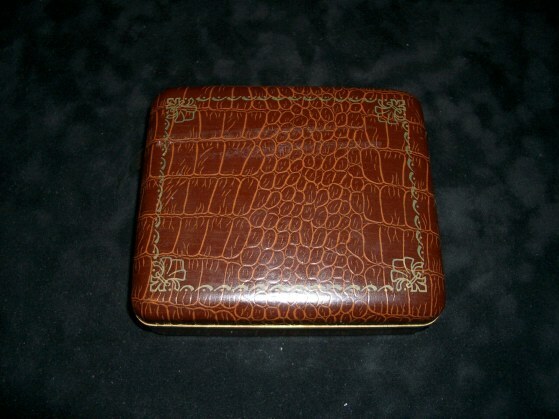 Edward Vogel playing card case. 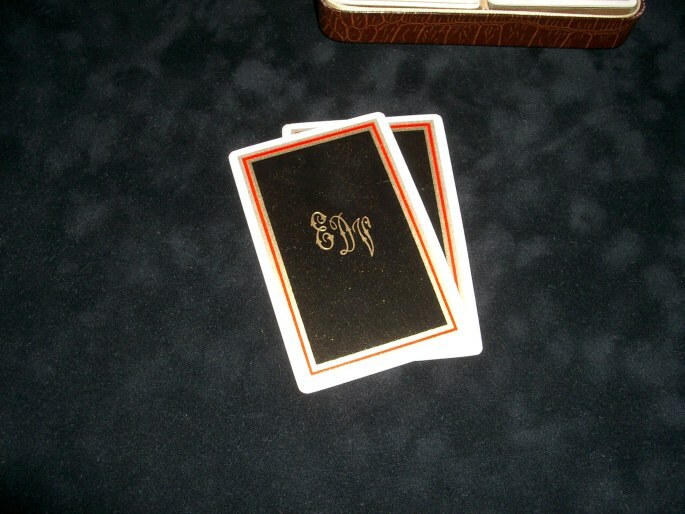 They are monogrammed EDV for Edward David Vogel. 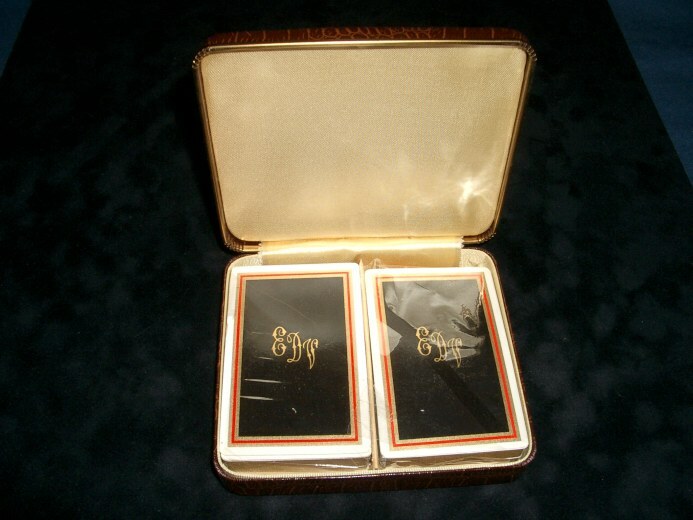 Playing cards removed from brittle cellophane. 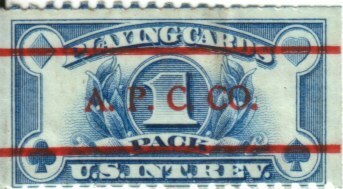 The back of the packaged playing cards contain an internal revenue stamp with Vogel's company name stamped in red on top. 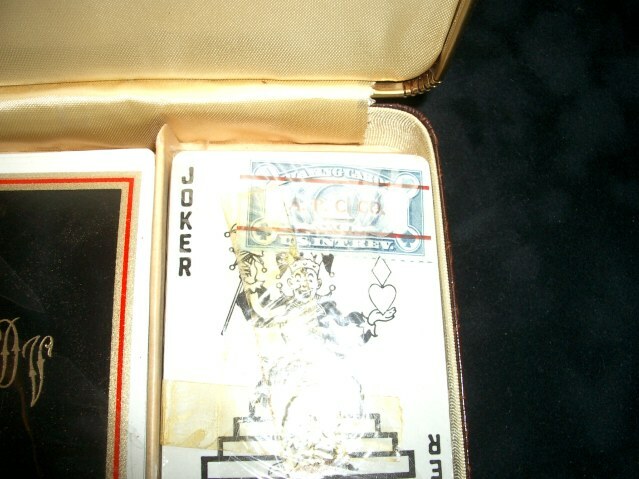 Close up of internal revenue tag on back of playing cards. The A.P. C. (Apex Cigaret) Company was Vogel's cigarette and slot machine company that he ran with William and their sister Elsie.